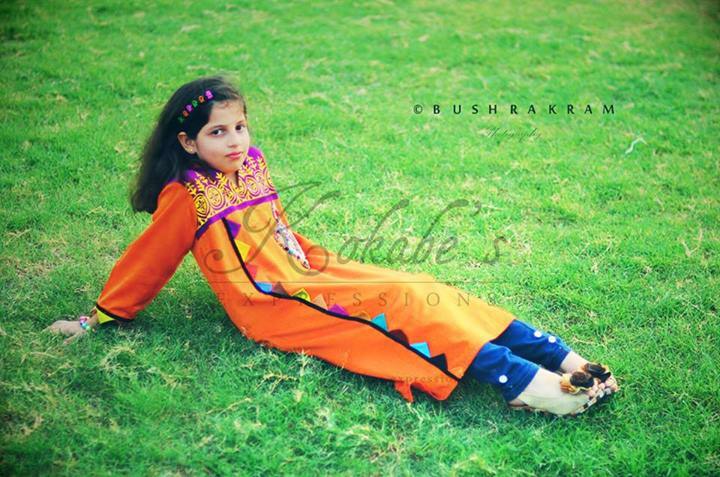 Kokabe’s Expression comes up with latest and colorful Eid ul Azha collection 2013 for. 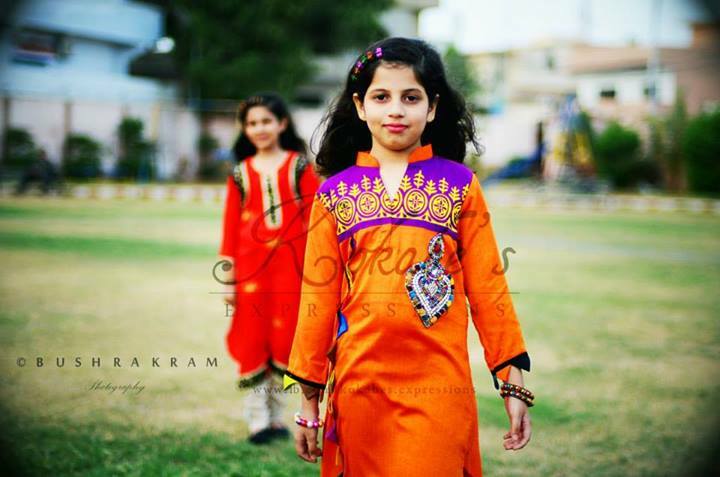 Eid ul Azha Collection 2013 by Kokabe’s Expression is a very colorful, eye catching range of dresses for children to make them noticeable and smart on Eid day. 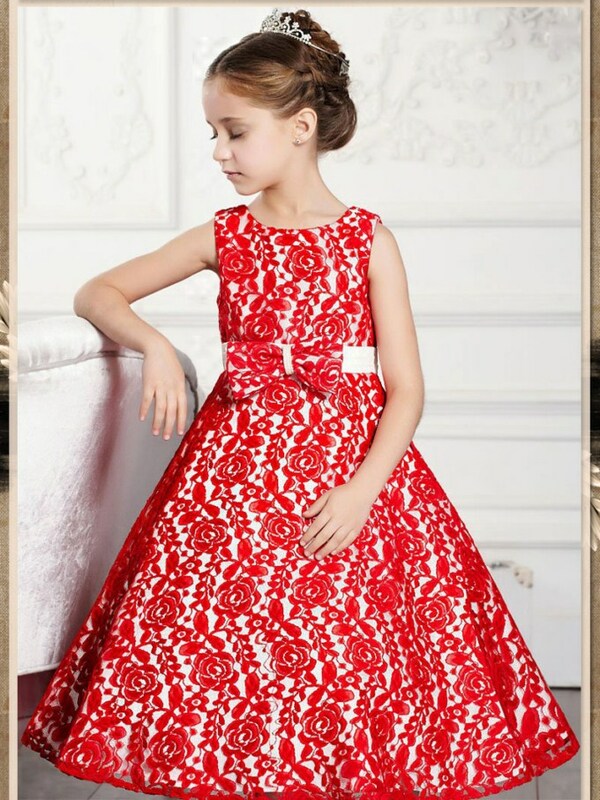 The use of bright colors such as red, blue and pink makes the clips more vibrant and arrant for kids. 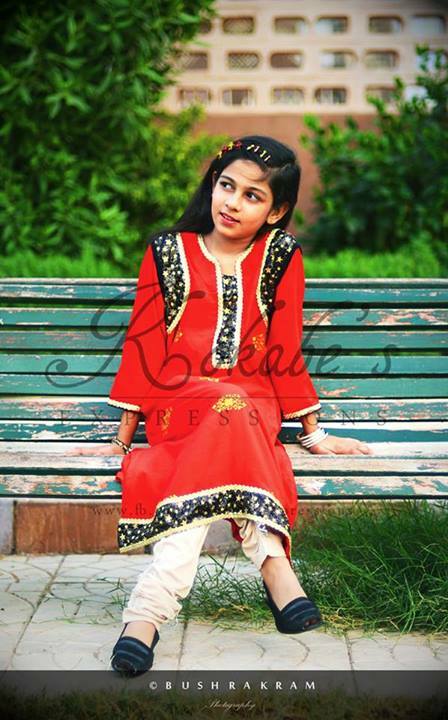 Kokabe’s Expressions is one of the newly launched fashion houses in Pakistan. 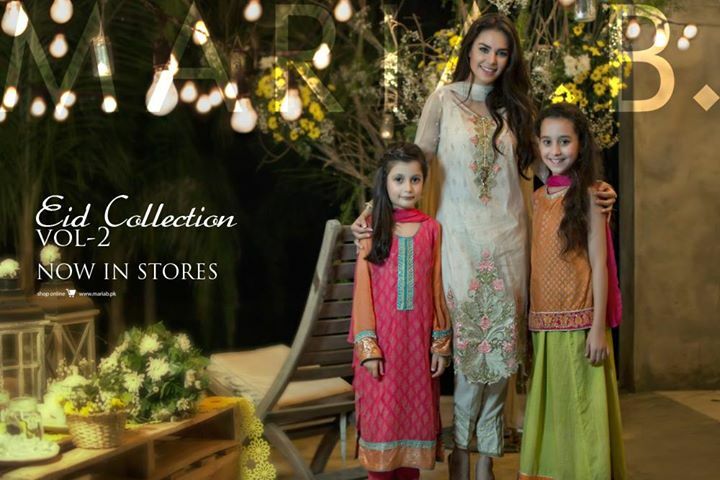 This fashion brand has been bringing inside the fashion plane since March 2012 and in just beginning of the few months this brand has undoubtedly made itself as one of the promising ones. 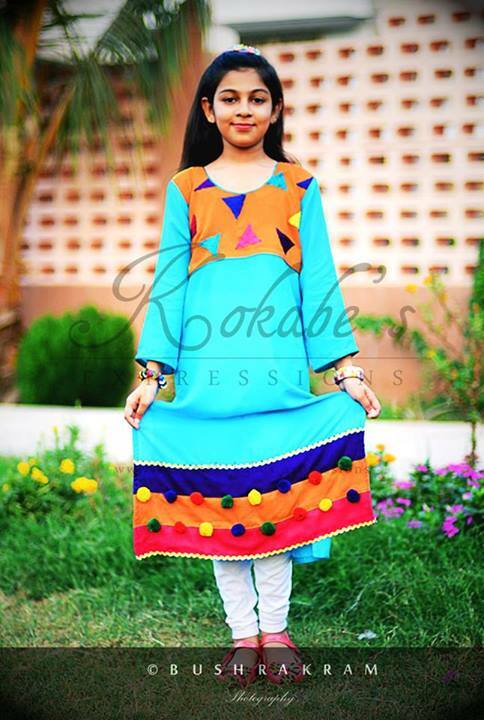 Under the umbrella of Kokabe’s we offer short kurtis and long kurtas. 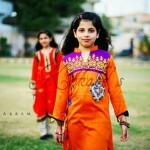 All designs are patched up with printing, embossed designing and embroidery. 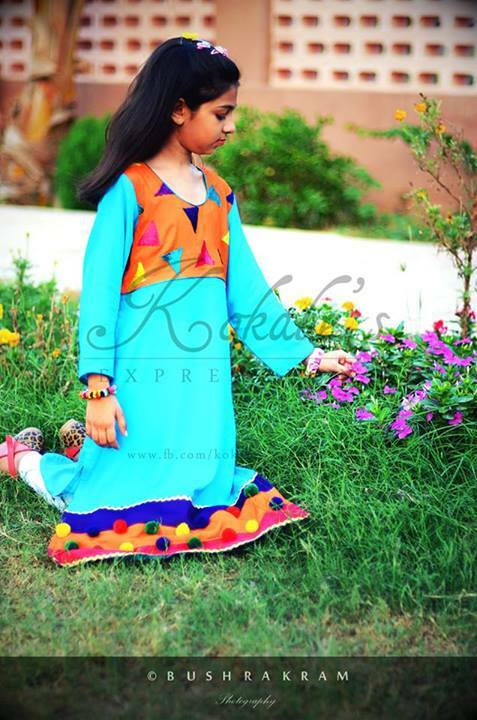 Kokabe’s Expression offer free delivery at your doorstep within Karachi. 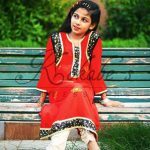 Kokabe’s Expressions make sure you are accommodated with our reasonable price range and fashionable designs because here at Kokabe you are valued. 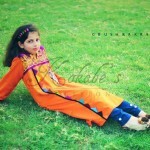 Kokabe’s offers a unique and exciting range of clothing taking inspiration from many creative cultures and urban lifestyles. 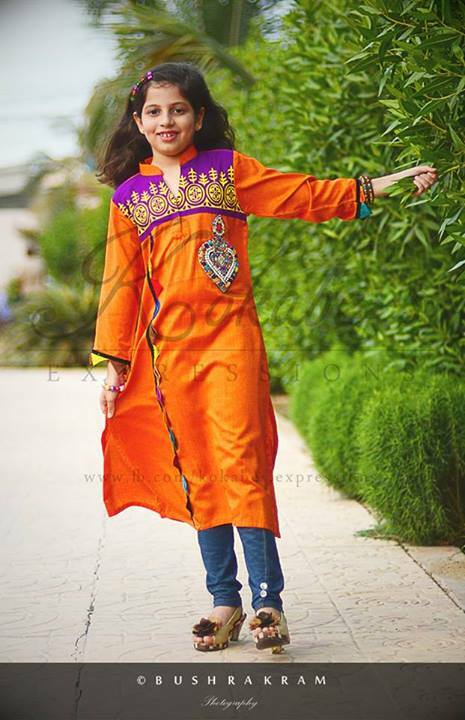 Kids wear beautiful and lovely Kids frocks occasional wear and seasonal worker wear outfits, all dresses adorned with beautiful embroidery and laces, they used bright eye-catching seasonal colors for fabric, collection consists of girls long shirts with pajama and much more.